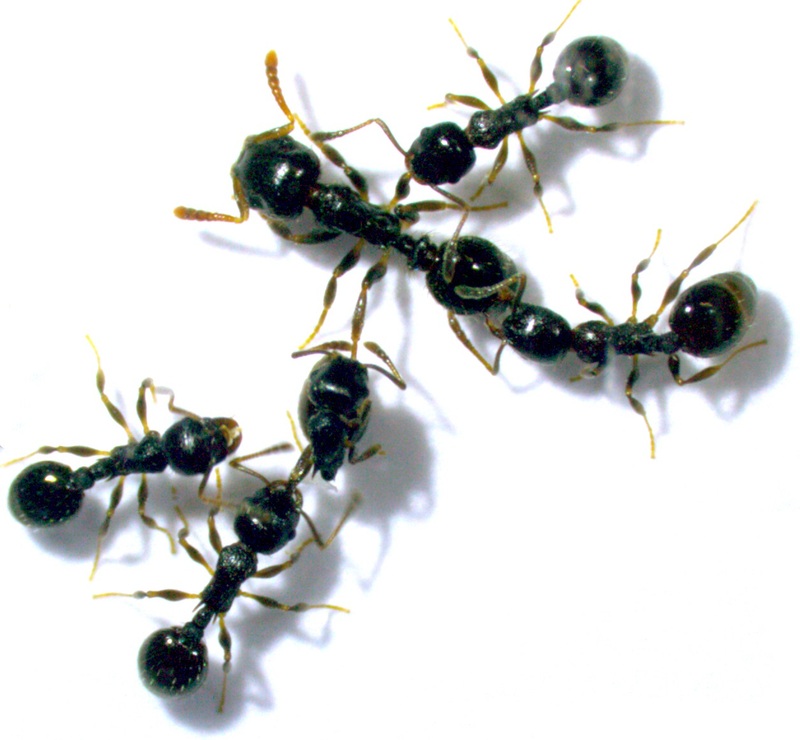 A characteristic of insect societies such as ants is the way tasks are distributed among group members. Not only queens and worker ants have clearly defined responsibilities but the workers themselves also have particular jobs to do when, for example, it comes to the care of the young, defense, and nest building activities. It is widely assumed that this division of labor is an essential factor that determines the success of such social groups. According to this view, a high degree of specialization provides advantages because the individual tasks are performed better and more effectively. It seems, however, that this advantage may actually be a great disadvantage in special circumstances. As researchers at Johannes Gutenberg University Mainz (JGU) have discovered, highly specialized ants lack the flexibility to adapt to new situations—with serious consequences for the entire colony. "Our findings provide an explanation of why all-rounders tend to be ubiquitous and show how important they are for the flexibility and robustness of entire societies," said evolutionary biologist Professor Susanne Foitzik, commenting on the latest findings of her research group at Mainz University. Foitzik and Evelien Jongepier investigated what happens when ant colonies with different degrees of specialization are exposed to an external threat. 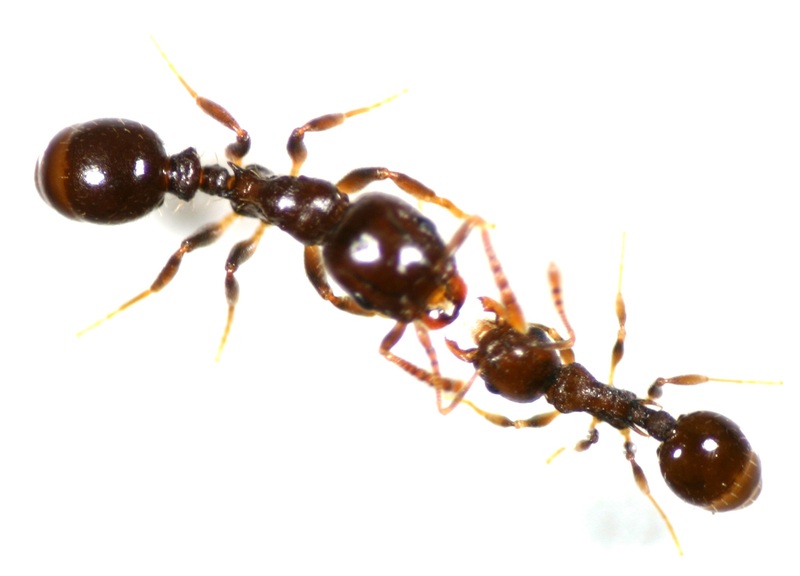 They tested around 3,800 ants of the species Temnothorax longispinosus and, based on their behavior, formed separate ant colonies consisting of either all-rounders or specialists. These colonies were then subjected to attacks by the slave-making ants Temnothorax americanus and as a consequence were forced to either flee or defend themselves. 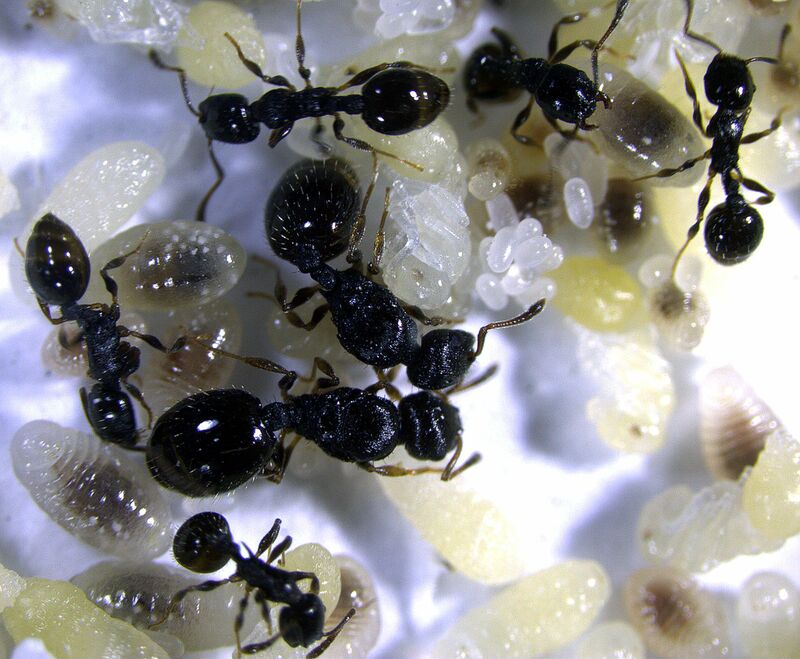 The social parasite T. americanus carries out raids on neighboring host colonies in order to steal their young, often killing adult worker ants and the queen in the process. "In contrast with the widely held assumption that an individual specialization provides social advantages, we have found that specialization can in fact have a negative impact on the propagation and the chances of survival and growth of a colony," summarized Jongepier, first author of the study. 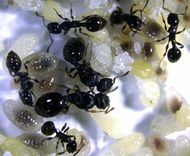 Ant colonies which were specialized in defense and the care of offspring lost almost 80 percent of their brood when attacked by slave-maker ants. All-rounders, in contrast, were able to save over half of their offspring. For a species such as T. longispinosus, which only reproduces once a year, such heavy brood losses can mean the virtual destruction of the colony or at least represent a serious threat to its future chances of survival. Such fitness costs associated with strict specialization mean that the all-rounder strategy probably has the better prospects of success in a natural environment with slave-makers. Ant communities living near to slave-makers are less highly specialized than colonies in areas which are free of these social parasites. "In the field, slave-makers represent an evolutionary factor that counteracts the development of higher levels of specialization," clarified Foitzik. Discussing their findings, Foitzik and Jongepier postulate that specialized communities probably have difficulty in changing their activities and so they are less flexible. Even if the findings cannot be applied directly to other spheres, they nevertheless provide insights into the evolution of social groups and provide indications of their potential viability. "Our results show how important it is to take ecological aspects into account when organizing work and individual patterns of behavior if benefits for the whole society are to be obtained," the researchers concluded. Thus, flexibility in behavior would be advantageous not only for ant colonies but also in connection with quite different organizational structures as well, especially when frequent disruptions are possible. These could range from metabolic cycles with all-rounder enzymes to financial systems that do not rely on just a few specialized institutions and are thus more stable.